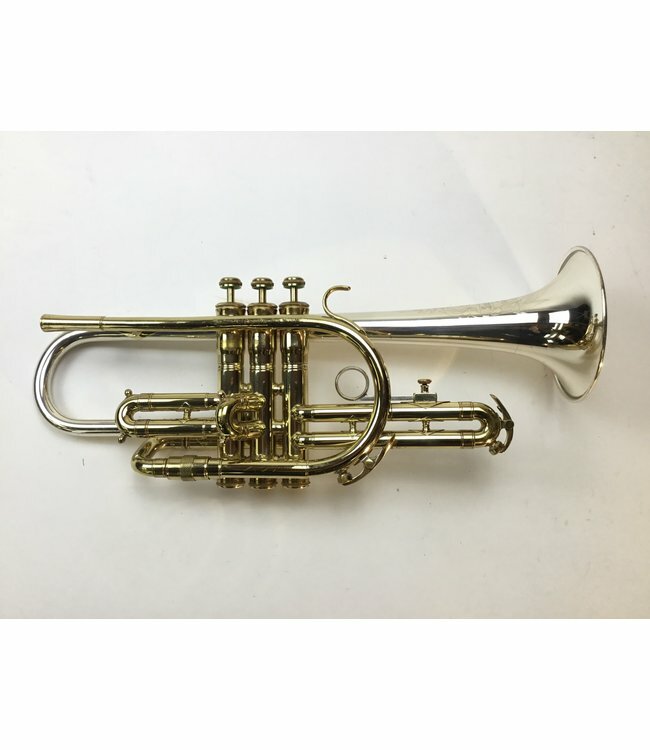 Used King Master Model “Silver Sonic” Bb cornet in lacquer. Instrument is in good condition with heavy surface scratching, minor dings and wear at contact points. Includes case.